Tehran, the capital city of Iran and very much a focal point for table tennis, was the recent home for an ITTF/PTT Level One Coaches course for women. 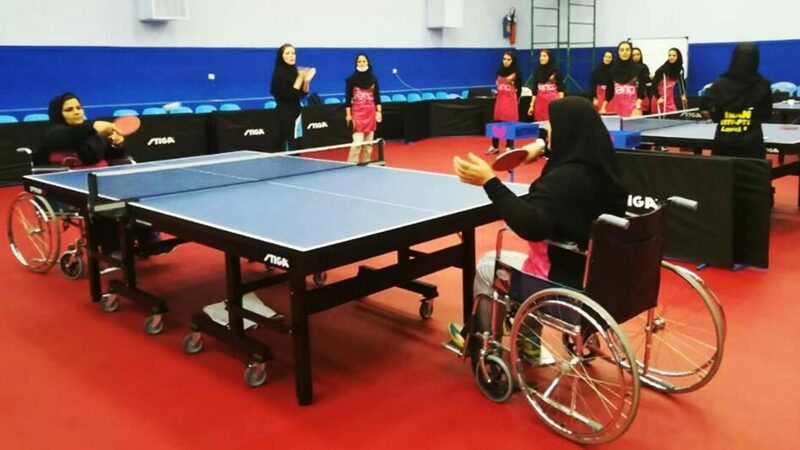 Organised under the auspices of ITTF High Performance and Development, supported by the Table Tennis Association of Islamic Republic of Iran and the Asian Table Tennis Union, proceedings commenced on Monday 7th May and concluded on Friday 11th May. The Course Conductor was Nazanin Meghdadi, a lady with a doctorate in sport injuries and rehabilitation. Home for the whole itinerary was the Shahid Dr. Azodi Stadium, a Multi-purpose venue where the Iran Table Tennis Federation’s international education and talent identification centre is based. Thus all the necessary facilities for a successful course were available. High standards were met. Well organised, Nazanin Meghdadi focused on the contents of the ITTF Level One Coaches Manual. She paid particular attention to basic techniques, sports science and training methodology as well as working with disabled players.